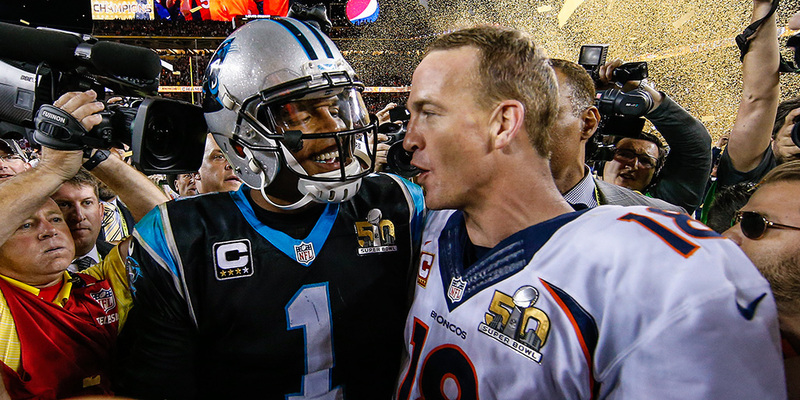 The Broncos beat the Panthers in Super Bowl 50 last night. You probably know this because you don’t literally live under a rock. You probably also know this because you’ve seen at least one article, opinion, video, or quick tweet, whether positive or negative, about Cam Newton and his animated nature. It’s obviously not surprising, Cam Newton is a professional athlete, one of the best and most well-known in the world currently, and thus lives his life under a microscope. There is never a consensus reaction to anything he does. To pretend I’m unbiased is foolish. I am an Auburn fan and I love that he brought Auburn a Heisman and helped bring them a national championship. Since his time at Auburn, I’ve enjoyed watching his joy for life, passion for football, and love for people in the community. I’ve already admitted I’m biased because of his connection to Auburn football but that doesn’t mean I wouldn’t admire him if he hadn’t played for Auburn; I’d probably pay less attention to be honest but I’d still admire what this guy does on and off the field. Cam Newton doesn’t need your approval or my approval. Somewhere along the lines of life, we decided as a society that certain groups of people have to fit into a certain mold. A professional athlete needs to be dignified and carry himself a certain way. They must never get too emotional in either direction concerning a sport to which they’ve dedicated their entire life. The way in which you celebrate a win and the way in which you lament a loss is strictly regulated by society. All I saw on Sunday was a man express raw emotion in a loss that was devastating to him. Would I have reacted that way? I don’t know. I doubt I would, I don’t think I would, but I can’t honestly say I wouldn’t have without being in the situation myself. I haven’t spent years upon years working for one professional goal only to have it snatched away from me so I wouldn’t dare place myself in the shoes of those athletes. Ultimately though, that brings me back to my original point: it doesn’t matter how I would react and it doesn’t matter how you would react because we aren’t Cam Newton and there is nothing wrong with him harmlessly displaying his emotions. I say “harmlessly” because Cam Newton being upset and walking out on a press conference shouldn’t have long-standing effects on your child’s behavior. If it does, I’ve got news for you, the problem with your child isn’t Cam Newton’s influence on him or her. This article is probably just adding noise to your post-Super Bowl, Cam Newton-filled social media feed but it’s something that reaches far beyond any individual athlete or sport. We do this to people around us all the time. We judge people for the way they dress, talk, think, behave, parent, work, don’t work…it’s real easy to sit back and think that our way is the best way. I’m probably more guilty of it than most of you reading this right now. I can think of a specific instance this morning where I judged someone’s appearance. I noticed what I was doing immediately. We live in a day and age where everything is offensive. I don’t think it’s because things are getting wilder so much as people are getting more vocal. I think it’s time we get a little less vocal and let people be who they are as long as it isn’t endangering others or hurting themselves. Cam Newton has emotions and he can display them. He doesn’t need your approval. The person I judged this morning has a certain style and they can display it. They don’t need my approval. I have opinions and can express them on this blog. I don’t need your approval. The best thing about it is, you don’t need mine either.